Molag Bal is fascinated by the metamagical technology of Soul Gems, and has several mystical research efforts under way to develop new and more efficient methods of stealing and imprisoning the souls of mortals. 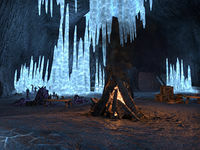 The Wailing Maw is a cave in northeastern Coldharbour, northeast of the Lost Fleet containing Daedra. 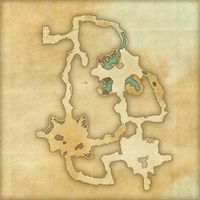 Explore and clear The Wailing Maw. Wailing Maw Explorer 10 Explore and clear the Wailing Maw. This page was last modified on 19 November 2018, at 05:23.